Since Carolina Trace was established back in the seventies, there has been a community club for folks who enjoy fishing in our 315-acre Lake Trace. There were yearly contests with prizes for biggest bass and crappie. 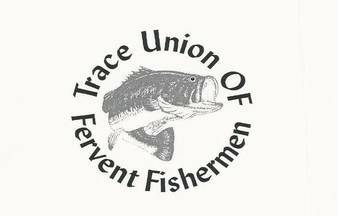 Long time TUFF Directors Barry Butzer, Carl Woodard and other TUFF members participated in the “Hooked on Fishing, Not on Drugs” (HOFNAD) Program from the national Future Fishermen Foundation which was funded by a grant from the Department of Justice. The Lee County Sheriff’s Department and TUFF members would visit various ponds with the Lee County Boys & Girls Club and provide instruction and bait. Ponds included Mary Perry’s pond off Edwards Road, “Doc” Howard’s pond off Wildlife Road and three farm ponds off Chris Cole Road. Although the HOFNAD program was eliminated due to federal budget cuts, the TUFF Club continues to offer fishing lessons to Sanford community youth groups, as well as the Trace community. Check out the TUFF Fishing Derby Winners of our Adult and Youth contests in past years to see who caught what, where, when and how! These links give you a great idea of what it’s like to fish in our very under fished Lake Trace where a sixteen pound NC STATE RECORD largemouth bass may lurk by one of the many fish havens CT volunteers built and dropped to enhance our fishery! Since 2008 the TUFF Club has planned more than three dozen “Fish for Fun” lessons, adult and children’s tournaments, as well as participating in the important Lake Work Projects launched by the CTA-CTCC Joint Lake Committee from 2008 to 2013. We hope the many new military families that have moved to Trace will contact TUFF Director “Miss Libby” to get on our fishing database about upcoming events!